Miss Gigotine is proudly using Colimaçon & Cie broken twill in the making of her baby carriers and is also distributor of Colimaçon products in Canada. Take advantage of our Coli-Warranty to try the product without charge! See colors in stock HERE! 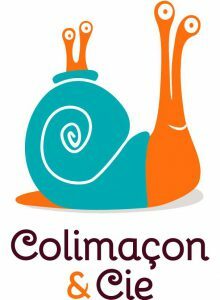 Why choose Colimaçon & Cie? Suitable from birth (8 lbs to 39 lbs). Available in 14 permanent shades to suit your taste. 100% organic cotton fabric of unmatched softness! Cotton woven in Portugal, then fabric woven and dyed in France. Standard length ring slings (2m) are suitable for the majority of the caregivers and have a gathered shoulder style for comfort. 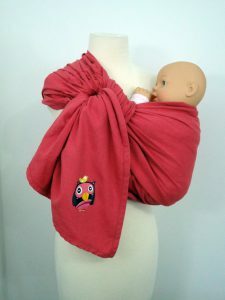 You can even customize your baby carrier with iron-on textile transfers, quick and easy application with a regular iron.